A teenager has been arrested on suspicion of murdering a 17-year-old girl who was stabbed to death in a park. 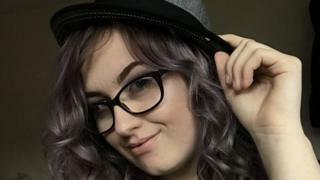 Jodie Chesney was attacked while playing music in a park with friends in Harold Hill in Romford, east London, on 1 March. Police said a 17-year-old boy had been arrested on Friday and taken into custody in the capital. Two men and a boy have already been charged with her murder. Manuel Petrovic, 20, of Highfield Road in Romford, Svenson Ong-a-kwie, 18, of Hillfoot Road in Romford, and a 16-year-old, who cannot be named, are due to face trial at the Old Bailey in September. Another three people, a 50-year-old man and a 38-year-old woman, both from Dagenham, and a 17-year-old boy, who were arrested on suspicion of assisting an offender have been released under investigation.